This is the transcript from a really great fun interview I did with my colleague, Gwyneth Moss on a technique she developed called Projection Tapping. It is a great way to work with children, and it is a great fun way to work with adults. Give a read. At the bottom you will find the links to the podcast interview which is on my site: www.eftunleashed.com. Hope you enjoy it. If you have a questions and comments let me know. TANIA: Hi, my guest today is Gwyneth Moss. 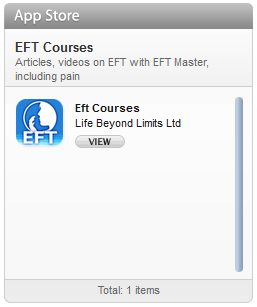 Gwyneth is an EFT founding master. 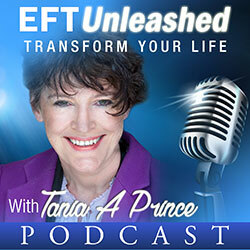 She is known for innovation in the field of EFT and she is also the person who set up EFT gatherings in the UK, which is now a model used around the world. As well as being the person who started up an EFT tapping community, called ‘The Guild’. So, welcome Gwyneth. GWYNETH: Hello Tania. Good to talk with you. TANIA: Absolutely good. You’ve been doing some really interesting work. 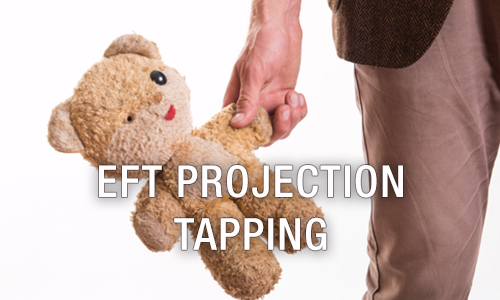 The talk today is going to be on tapping with—well, projection taping is what you call it. GWYNETH: Yeah, I call it projection taping or I call it tapping with toys. It grew out of the work that my great friend and colleague Linda Wood did with her tapping bears. And I—should I tell you how I got started with this? GWYNETH: This must be at least 10-12 years ago. Linda started making these bears—tapping bears and she was getting great results using them with children and they were really good. And she gave me one and I thought lovely bear and I just stuck him on the shelf in my consulting room over the sofa, where the clients sat. And I just thought oh nice bear, but also wasn’t really sure what to do with it and I didn’t really see [work] much with children. Then one day I’m seeing a client and she has diabetes, she was probably low 30s or so and she said, I know I got diabetes, I’m not expecting a cure for diabetes, but I want to be able to manage it better. She said, I forget and I forget I have diabetes and I don’t manage it well and that’s actually dangerous for me. And we started doing some of the obvious ways that you would start with EFT around this and she said—and then I just get one of those inspirational hunches and I grabbed the bear that Linda gave me off the back of the sofa and I put it in her hands and I say, this is diabetes, let’s talk to diabetes. And the bear has got these big buttons on it, these are the tapping points and I get her to start tapping on the bear, on diabetes and talking to diabetes. And she first start saying, diabetes I neglect you, I forget you, I pretend you don’t exist and you do, and you come back and bite me. And I forget you, every morning I wake up and I forgotten all about you and you have to remind me. And we tap like that and then we do a round of EFT, “when did diabetes first come to you?” And she said, “I was eleven”, and what was it like then—we keep talking to diabetes—oh diabetes, I was just eleven when you came to me and we had to go to the big town and the big hospital and you made me feel special. All the doctors and the nurses, they gave me lots of attention and I liked you then, diabetes. And then she suddenly goes, she says, “but diabetes, you scared my mummy. My mummy was scared of you, you scared my mummy and I had to pretend you didn’t exist”. And that was it. And as we tapped through that and there was quite a bit of emotion and we tapped about how mummy had been scared of diabetes, and the whole thing, it just shifted and she started managing diabetes. She finished with a round of tapping on the toy saying, “Diabetes, you’re a part of me, we’re in this together, you’re a part of me and I’m going to look after you and I’m going to make sure that I eat the food you like and I’m going to look after you”. And I just saw that one session and everything, obviously she still has diabetes but now she’s managing it. And I realized that we wouldn’t have got to that without a toy or we might have got to that but the toy, the bear got us there more quickly. TANIA: Yeah, that’s fascinating as well isn’t it, because it allowed her to separate her adult understanding to that unconscious understanding of what the motivation was for doing the behavior? GWYNETH: And we often try and do that separation internally. But it’s not easy to separate internally. It sort of leaks, it gets a bit messy. When we have something physically out there, the separation is easier, particularly when you’re tapping on that particular thing. I started then using this with other clients and I found that whenever there was, that you could make the bear anything, easier like a person, my mother, my boss, my sister, my who ever or it could be a concept. Now I hope Marsha won’t mind me sharing this. But Marsha is Russian born. We had this conversation of where she wasn’t doing well in the business of EFT because, “profit was evil”. This is how she said it, “I’m good, I was raised a good communist and profit is wrong and it’s evil”. And we happened to have some bears in the room, when I just took one of them off the shelf because after having such marvelous results with one bear, I bought a load of bears off Linda. And I grabbed a bear and I stuck it in Marsha’s hands and I said this is profit and she sort of shrunk away from it and held it at arm’s length and we tapped and talked, “profit, profit you are evil. That’s what they told me, that’s what they told me, you were evil, you would rot my moral fiber and I must never, never allow you near me profit”. And then what I did was, we tapped through something and then I turn the bear around and I said this is communism. Tap through and talk to communism. And then we turned it around and I said this is capitalism and we tapped, on capitalism, “you were, they told me you were bad but all those jeans and all those wonderful things in the shop and the music, oh capitalism, I fell in love with you, but then I saw the poor people—then I saw how you can hurt people”. We kept going back and forth between capitalism and communism until she says to communism. Communism, “you are a very good idea but you don’t work”. And then she says to capitalism, “and you’re a really good idea and you don’t work either and I’m going to do it my way”. And from then on Marsha started to create a business. TANIA: Which, is fascinating, because there must have been all those beliefs and emotions about which you were able to get at, beneath what was causing her inability to do different things and fascinating way to get there really. GWYNETH: Well, you know that humor always adds something and humor shifts things and bringing in the toys, brings in humor. When you’ve got a furry teddy bear and you’re calling it communism, that’s funny. TANIA: I do absolutely love the humor brought into that can be brought into these techniques and it almost makes it safer and—well it makes it absolutely more fun to do and it also makes it feel safer as well to do it that way. I don’t think we go so much down our logical brain, where we put the deeper stuff. GWYNETH: Well, I then started doing this, being inspired by Linda’s bears but then you sort of read around and I was reading something about Freud. Don’t normally read about Freud but I was and I suddenly got a big ah ah moment, because there were sentences where Freud had said, emotions that we, I’m paraphrasing, emotions that we cannot process consciously is either suppressed or projected. And I went yeah, usually with EFT we’re getting to the emotions that’s being suppressed, that’s being pushed down, but what about the emotions that is pushed out on to others? And very often anger is projected. So when we use a toy, we’re getting to the projected emotion and the tapping is getting into the projected emotion as well as the suppressed emotions. So that’s why I call it projection tapping. TANIA: So you go way beyond bears now as well with this, don’t you? So how did you progress the idea? GWYNETH: Well, Linda could only make so many bears. She handmade them all and they are lovely. And I found some little toys which actually, they don’t seem to sell anymore, its unfortunate there are fashions in children’s toys. They are called shining stars and they’re very good for tapping. When you’re tapping with a toy you need it to have a firm face and quite a large face, so that there is space for the point. Sometimes animal faces are pointy you need a flatter face. But I always use animal toys rather than dolls or humans, because people will project, they will almost project too much on to a doll. And animal toy can play anything. A doll, little girl doll can really only play a little girl or a woman. Whereas a little, I like to use dogs quite a lot. I have these dog toys. They can be anything, they can be anything from communism to diabetes to my bad back to, they can be an abstract concept, they can be a person, they are very multipurpose. TANIA: So how would you use them? Because I know you even use more abstract things as well. I think you mentioned prior to this talk about some strange ways that are being used by people working with people across the board. I’m thinking of the socks, here. GWYNETH: Oh, okay. Yeah before we started this recording, I was telling Tania about Dr. Susie Foster. 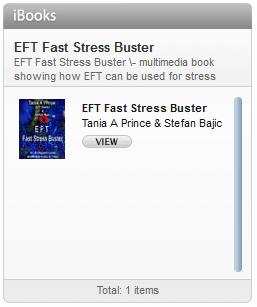 She presented at EFT gathering a couple of years ago and she is presenting again this year. And she is a GP over in East Yorkshire. And on her day off she goes into schools and teaches kids tapping with wonderful heartwarming results. And one of the things she does, because she says, she can’t just walk into a class of kids and say right, now tap. You need to have a bit of a buildup and a bit of game and she has lots of singing games and things that make it really fun. And one other thing she does with the kids because she loves the tapping toys, she came on my trainings and then encountered bears and toys and dogs and things. And she goes into the class and she takes a whole, she collects old socks, washes them and they’ll have a whole collection of buttons and bits and bobs and stuff and stuffing. And the kids make sock monsters. They stuff an old sock with a type of stuffing and then they stitch buttons and all sorts of things on it. And they make these wonderful monsters and then she gets them to talk to the monsters and tap. So the sock monster can be a person, it can be something she says to them “what gets to you? What are the scary moments in your life? Let’s tap”. Because she’s shown them how to tap and they tap on the sock monsters and marvelous things happen to these kids. You can just imagine. TANIA: Oh yeah, I can definitely imagine. So what age ranges, Gwyneth? What age range does this appeal to? GWYNETH: Primary. She is going to be speaking again at the gathering with her daughter. When Susie first came and trained with me, one of the reasons she came was, she wanted to help her family. She had no intentions of using it with patients or anybody else. But of course that happens, tapping starts to take over. She goes into primary schools, but she taught her daughter when her daughter was probably only about five or six. Her daughter is now a very articulate, confident teenager. And Susie and her daughter Lucy are going to be speaking at this year’s gathering on tapping for teenagers and how to introduce tapping to teenagers with Lucy talking from her own experience of being a teenager and tapping with her friends. So I’m really looking forward to that. TANIA: Yeah, because what you’re saying here as well is that projection tapping can be used with adults and here it’s being used with people of all different ages. GWYNETH: Yeah, because all of us put stuff out there, don’t we? We all put stuff on other people. TANIA: Yeah, that’s a common phenomenon isn’t it? It’s what we all do as you say. Would you say there is anything particular about working with teenagers or is that not an area you particularly go? GWYNETH: I’m not a parent and I don’t encounter teenagers in my daily life. I have worked with teenagers and I find—sometimes the toys can be a bit silly for a teenager. You’ve got to go through the silliness. Young kids love to be silly but teenagers don’t. But when I have got a teenager tapping on a toy they really like it, because we’re not talking about them now, that’s the other way we can use toys, we make the toy have the problem. So it makes it more indirect. TANIA: Because my, not about teenagers but my experience working with children is, if you’re asking them direct questions they can clam up. GWYNETH: Absolutely. So going back to kids, say a kid got a problem at school or something, I will take one of my toys say one of the dogs and I’ll say “this is Mr. Doggy, this is Mr. Puggy. Mr. Puggy doesn’t like to go to school, would you like to help Mr. Puggy. And so we start tapping Mr. Puggy’s got magic buttons, magic places. When we tap on Mr. Puggy it can make him feel better, would you like to help Mr. Puggy?” They nearly always say yes. And then we start tapping on Mr. Puggy, and Mr. Puggy, “he doesn’t like to go to school, he doesn’t like to go. I wonder why?” and then I’ll say to the kid “I’m a grownup, I can’t hear what he says, but you can, can’t you?” Kids can always say what toys say. “What is he saying?” She says, “he’s scared”—so we keep tapping. “Poor Mr. Puggy, Mr. Puggy is scared. I wonder, do you know, can he tell you what he’s scared of?” “He’s scared of Mr. Simpson”. “Oh, poor Mr. Puggy scared of Mr. Simpson. What happened?” Yeah so we make it all about Mr. Puggy, we’re not talking about the child anymore and they will start to give little bits of information. Mr. Simpson shouted at him and it wasn’t fair, because Mr. Puggy hadn’t done anything wrong, he’s a good boy. And Mr. Simpson made him go and stand in the corner and it wasn’t his fault. TANIA: I’m just laughing because it’s so easy to get kids to go into stuff like that, isn’t it, because it’s not personal anymore. It works so in alignment with kids playing and their fantasies, what they like to do I think. GWYNETH: And you know how quickly energy moves with kids if we can get tapping. Using the toys is a brilliant way to be indirect to illicit information. You have to be quite careful in doing it, because you have to make it all about Mr. Puggy. You have to take attention away from the child. And sometimes I’ve heard, once I remember having a kid in the workshop, she spread toys all over the floor, she’s going around and talking and tapping to each one of them, until she brings them all together and she says they can be friends now. TANIA: Wow. I also like the fact that, that way of working puts the child. They’re the helper, they’re the person who is helping others isn’t it? I think that’s an interesting way for them to think, to be, to put in that position rather than the person who needs help. GWYNETH: Yeah. And Linda Wood is the one who has done really wonderful work here with kids and with younger people and with whole families. Inspiration tends to come up between myself and she’ll start something, I’ll take it further or I start something, she takes it on. It’s been a really nice process over the years. TANIA: And definitely some innovative creative methods coming off of that really, that interaction. GWYNETH: To your listeners, I would just like to say, find a toy. Ideally one with a firm flat face, one where you can find the tapping points and tap. Now choose something that’s pressing your buttons or somebody and just make the toy that somebody or that something or that symptom or whatever. And just start to tap on the toy and start to talk to it. And talk in little short sentences, little sort of factoids, like if the toy is your painful knee, you might go, “painful knee, you’re really giving me jip, and I don’t know why you’re doing that painful knee. Painful knee I’ve got so much I want to do and you’re just giving me jip”. And just sort of, you say you’re never telling the knee stop hurting me. I wonder, “I wonder why you’re doing that, because you keep on doing that. I wonder what you’re trying to tell me.” So you can have lots of I wonder ifs and poses and then you just allow gaps, stuff will come in the gaps. TANIA: Which might even surprise your conscious mind really, isn’t it? What comes in gaps? GWYNETH: Like with diabetes, “you scared mummy”. TANIA: Yeah absolutely. That stuff, that is deeply buried but known at some level within yourself. Yeah so are there any other tips you would give people for using this projection method, Gwyneth? GWYNETH: I would say, start with yourself. Start with yourself, start playing about with it. Start finding out for yourself what it can do and how to use it, because obviously in this short little call, I can’t really give a teaching or a training in this. But hey, everyone’s got toys or can find toys and I’m guessing everyone who’s listening to this can tap. So have a play about, start for your self, notice what changes. TANIA: Yeah and just go with the flow of what happens I suppose in those moments. TANIA: Alright, well thank you very much for giving us all this really fascinating information Gwyneth. So if people wanted to find you and know more about the work that you do, because I know you’re doing some very interesting things. People wanted to find you, how would they find you? GWYNETH: Okay, my main website is efthelps.com. If they’re interested in our wonderful annual tapping get together that’s the eftgathering.com. And the tapping community I have set up is eftguild.org. TANIA: So some good places for them to catch hold of you. So thank you so much for coming today and giving some fascinating insight into the work you’ve been doing and some fascinating tips about how they can begin to apply these techniques in a good way. Thank you Gwyneth. GWYNETH: Much appreciated. All the best. TANIA: Thank you, bye, bye.